What Is a Paywall and How Does It Work? Before we dive into explaining what is a paywall and how paywalls work in fact, we should point out that, right now, they are at the forefront of the content monetization efforts of every digital content publisher. Implementing a paywall for your business means you should, above all things, know your customers, their viewing habits and expectations. When it comes to strategy implementation, if you haven’t used paywall before, we advise starting with a low risk model and then work towards building up and optimization. Customers’ viewing and browsing habits are changing as fast as technology, so content owners should try and keep up with the recent developments. Back in the day things were really simple, at least for print journalism. The way to secure revenue and effective revenue projections was standard ads and solid subscription rates. However, since the digital era things became a lot more complex. Legacy media companies are left with no choice but to adapt to the new landscape. Basically anyone with an Internet connection can spread information online creating abundance of information very often without any credible sources. This makes it difficult for quality content creators to maintain competitive advantage. Making money on digital content is not always a spring breeze. There are many obstacles to pass like reduced CTRs or ad blocking. There is also the competition to outperform if you want to stay on top of the curve and enhance your revenue. It is exactly when paywalls kick in. A paywall is pretty efficient way to restrict access to certain parts or the whole content thus allowing paid subscriptions. This way content providers are able to gain an extra source of profit – but how exactly does a paywall work? In this blog post, we are going to take a look at the technology used behind a paywall and how it actually works. If you want to set up paid subscriptions effectively then it’s really important you understand how a paywall works so you can choose one that works for you. Something important to be aware of is that paywalls determine the amount of access that both search engines and site visitors get to your content and the level of security that your premium content has. Let’s take a look at how all of this works. Most paywalls are designed to allow access to a small portion of content before a pop-up blocks the rest of the content in some way. This way you can draw people towards your content without being too restrictive. Of course, a paywall can also be implemented right away. This is more useful and applicable with video content. Paywalls are becoming so popular that all the major newspaper giants have their very own paywall on the website. Even Wired announced its paywall earlier this year. Before explaining how a typical paywall works we need to understand the basics of how a browser works. It does not matter which browser your site visitors use to visit your website; it directs them in the same way. When a user clicks in a browser this action sends a message to the server which hosts the website or sites being used. Bring it all together with a user-centered design to make it actionable. Creating a “buyer persona” will help you engage effectively with your customer base. Without a deep understanding of how a company’s best customers are segmented, a business often lacks the much needed market focus so it can allocate and spend its precious human and capital resources efficiently. Additionally, a lack of customer segmentation can cause product development strategies that impedes a company’s ability to fully engage with its target audience. Create buyer personas for individual customers based on data collection and data points targeting them with a CTAs in real time. Why is this relevant? People are bombarded with information and gazillion of options. 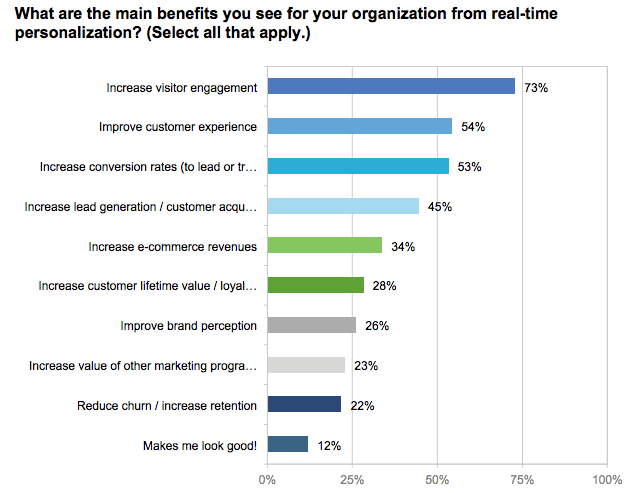 Personalization customizes information and the number of options in an attempt to guide visitors through a funnel that’s designed just for them and their individual needs. Offers and call to actions show you have an individual relationship by using emails, newsletters, offers, specialised content, advertising. 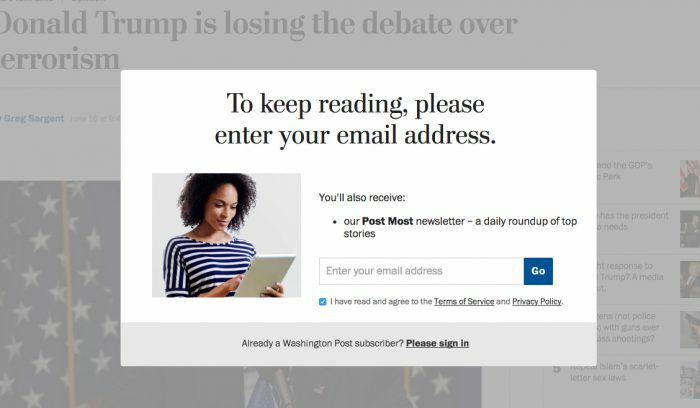 Otherwise called a “ Metered paywall” which allows viewing certain content before users are asked to subscribe to full access. This means that they have completely free access to a certain amount of content. The soft paywall is very often the best option for newspaper publishers. The quota for how many articles a readers can have access to is usually refreshed on a monthly basis. A soft paywall gives the much needed balance of adding additional revenue without alienating the entire readership. Reader retention is often higher with soft paywalls than it is with harder options. The principles of server side and browser side paywalls still exist but the system is just a little more complex. A hard paywall usually only displays an article title and a few introductory paragraphs before allowing the reader to subscribe. They’re more common among professional and financial authority content. At the same time, this is one of the riskiest options, because the publisher may lose a majority of its visibility and audience. For example, The Times had its own hard paywall, and while it’s revenue increased, it’s readership dropped significantly. They lost over 90% of its audience after the debut of its paywall, but it now generates over $60 million a year of previously nonexistent revenue. This comes as no surprise as the introduction of a hard paywall results in an immediate loss of digital audience, but over time it is able to cultivate a dedicated readership. The Wall Street Journal’s version of a hard paywall includes a range of selected free articles – it launched in 1997 and now has roughly 900,000 subscribers. Some publishers use a combination of the two strategies, giving users access to some free content, and setting up other premium content too. Since the media world is so diverse and complicated, there are no set rules for what will work for everyone. Deciding whether a paywall is right for you is a matter that requires careful consideration. Server side paywalls tend to provide the most security for your content as the decision regarding what the user gets to see is made at the server stage before anything is actually sent to the browser. The issue with this is that search engines will only index what can be seen by the browser so search engines can miss your content. If you want to get around this problem then you can choose to allow access to a small amount of content either directly on the web page or hidden in meta tags. These are different to server side paywalls in that the decision regarding access is made once the page has actually been accessed in the browser. It is the browser application that determines whether access is allowed. The issue with this type of paywall is that the content is actually there, it is just hidden. This means that some people are able to block the paywall and gain access to the content. Which Paywall Is The Best? How important is it that you are fully indexed by search engines? Do you want some of your content to be free to view? Your answers to these questions will help you to determine which type of paywall is best for you, based on the information we have given you, about the different paywalls.